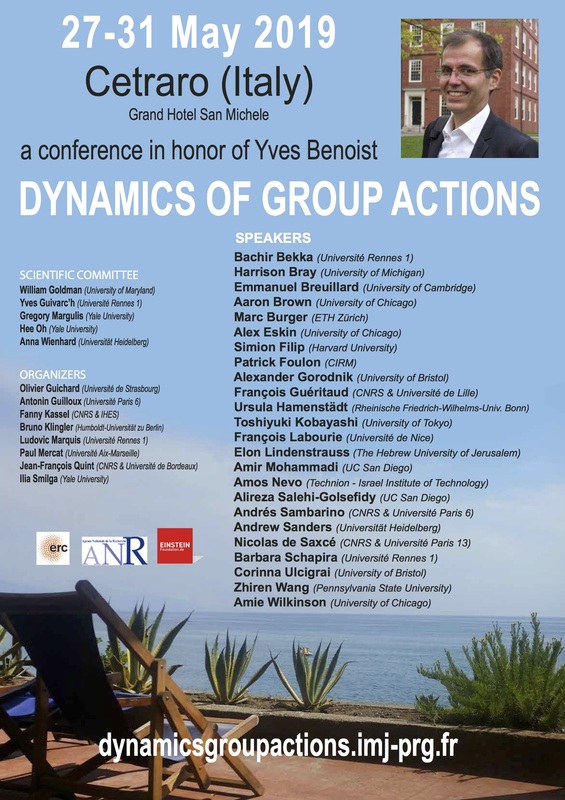 This conference will bring together exceptional senior researchers and talented young researchers in dynamics of group actions on the occasion of Yves Benoit's 60th birthday. Benoist has made several ground-breaking contributions to the topic and his influence is remarkable. The conferece will be a unique opportunity for discussion, to present new and important works, and to give a new impetus to research in the field. Professor Elon Lindenstrauss will give the Clay Lecture at this event.